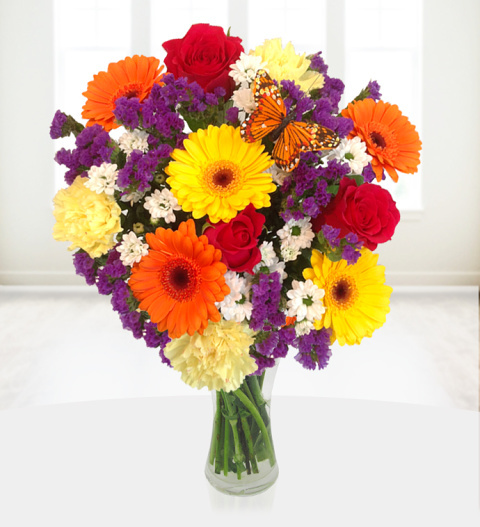 Spring Horizon is a fabulous hand tied bouquet blossoming with roses, germini flowers, daisies, chrysanthemums, statice complimented with a handmade Spring Butterfly. Bring Spring to a home with the early fragrant and delightful Spring bouquet. Perfect for all occasions this arrangement comes with a FREE box of delicious Belgian chocolates and FREE delivery! Chocolates may contain nuts.